I've had a few complaints lately about the class of wildlife I've been featuring on this blog. Vultures, rats and snakes are a little unsavoury for some people, it seems. By way of respite I offer up this creature instead. This ridiculously cute bird has been terrorising the front of our house all day. It appears to be convinced that its reflection in the windows is a rival male and is alternately bashing against the glass and then sitting on the trellis by the side of the house and singing its little heart out. 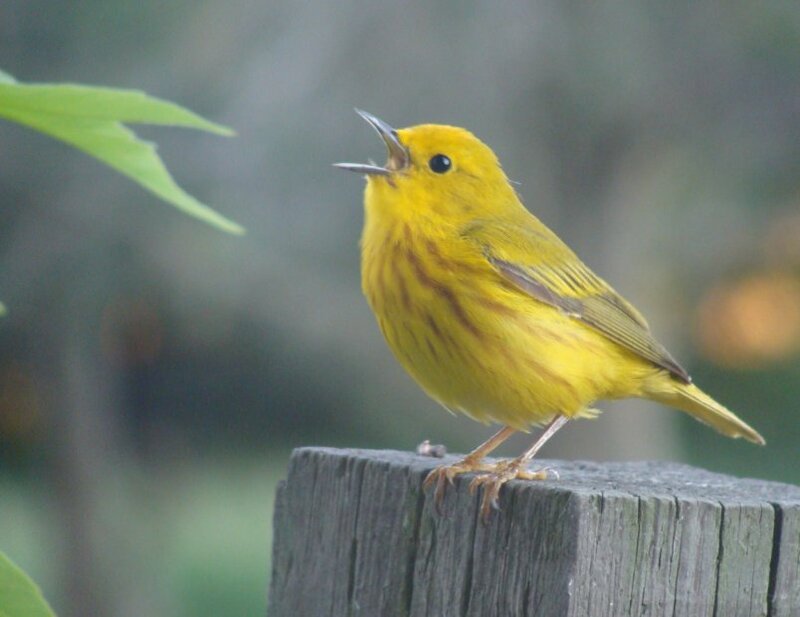 It's a yellow warbler (Dendroica petechia).